Joseph Hendricks won the 2014 NRA High Power Rifle Championship with a 1789-76X Score. Hendricks topped a large field of 288 total competitors. In second place, two points behind, was past champion Norm Houle with 1787-85X. Defending 2013 High Power Champion SSG Brandon Green was a close third, with 1786-89X. Green had the high X-Count for the match. The top “Any Sights” competitor was Kenneth Lankford, whose 1780-76X was the eighth-highest total overall. Dawn on the final day of the 2014 NRA High Power Rifle Championship saw Joe Hendricks sitting in fifth place. But by sundown the Team Remington shooter had become the national champion. What happened in between was a shining example of consistency and perseverance. Hendricks started the final day (Tuesday) four points down of the leader, tied for third but with a low X-Count. “I assumed everybody would go clean … so I needed to go clean just to maintain my spot,” Hendricks said. And clean he went. All 60 of Joe’s shots on Tuesday fell within the 10-ring. In fact, he hit straight 10s for the last 100 shots of the 180-shot championship. That is an impressive feat. Hendricks has the unique privilege to shoot with his son, Joe Hendricks, Jr., and his father, Gary Hendricks. The rest of his family was there to cheer him on as well. Tuesday’s matches followed an unusual break after severe winds on Monday caused a complete cancellation of the matches. Normally, on the final day of the High Power Championship, competitors shoot matches at 200, 300, and 600 yards. This year, due to the Monday cancellation, competitors did not fire a 200-yard match, but instead fired the 300-yard match and TWO 600-yard matches. Hendricks finished with 1789-76X, two points ahead of Norman Houle (1787-85X), a three-time High Power National Champion. In third place, with 1786-89X, was SSG Brandon Green, last year’s High Power Rifle Champion. Share the post "Joseph Hendricks Wins 2014 National High Power Championship"
The 30BR cartridge is formed by necking-up 6BR or 7BR brass. You can do this in multiple stages or in one pass. Most of the top shooters prefer the single-pass method. You can use either an expander mandrel (like Joe Entrekin does), or a tapered button in a regular dies. Personally, I use a Redding tapered expander button, part number 16307. This expands the necks from 6mm to .30 cal in one pass. It works well as long as you lube the mandrel and the inside of the necks. I’ve also used the Sinclair expander body with a succession of larger mandrels, but this is a lot more work and the necks stay straighter with the Redding tapered button. This button can be used in any Redding die that has a large enough inside diameter to accept the BR case without any case-to-die contact. Share the post "30BR Case-Forming Tips from Randy Robinett and Al Nyhus"
We are already half-way through the NRA High Power National Championship and SSG Shane Barnhart of the USAMU remains atop the leaderboard, with a score of 1193-64X out of a possible 1200 points. Barnhart shot a 595-28X during Sunday’s Navy Cup, Coast Guard Trophy, and Army Cup matches. Barnhart currently holds a three-point lead over second place SSG Brandon Green (1190-58X), the defending High Power National Champion. Like Barnhart, Green shoots for the USAMU. Kenneth Lankford leads the “any sight” (scopes allowed) division with 1191-54X. Here is your current leader, SSG Shane Barnhart, with an AR Space Gun. Note the side charging handle and tall iron sight set-up. Look carefully — it appears that a separate fore-arm section is duct-taped to the red free-floated handguard. Perhaps this AR owner experienced some wiggle, and that’s why he seems puzzled? A countdown timer is attached directly to this shooter’s Tubb 2000 rifle. This Service Rifle competitor shows how to get some “R & R” between relays. All Photos courtesy NRA General Operations. Share the post "High Power National Championship — The Guns of Camp Perry"
Maybe the “R” in Remington’s 9mm R51 pistol stands for “recall”, or more accurately “replacement”. Responding to many complaints from pistol buyers (and some embarrassing videos posted on YouTube), Remington has offered to exchange the pistols: “Anyone who purchased an R51 may return it and receive a new R51 pistol, along with two additional magazines and a custom Pelican case, by calling Remington at (800) 243-9700.” The second generation R51 pistols should be available by late October, according to Remington. However, after initial commercial sales, our loyal customers notified us that some R51 pistols had performance issues. We immediately ceased production to re-test the product. While we determined the pistols were safe, certain units did not meet Remington’s performance criteria. The performance problems resulted from complications during our transition from prototype to mass production. These problems have been identified and solutions are being implemented, with an expected production restart in October. The Remington R51 pistol is a much updated version of the Remington Model 51, a 1917-18 design by John D. Pedersen. The original Model 51 was chambered for .380 ACP, and later .32 ACP. It had a very low bore axis, made possible by the Pedersen’s “hesitation lock design”. The Model 51 pointed very naturally, and with its low bore axis, muzzle flip and perceived recoil was less than with other pistols of similar size, weight, and caliber. Like a blowback pistol, the original Remington 51 has a stationary barrel and recoil spring surrounding the barrel. However, the Remington 51 employed a unique locking breech block within the slide. When the Model 51 is in battery, the breech block rests slightly forward of the locking shoulder in the frame. When the cartridge is fired, the bolt and slide move together a short distance rearward powered by the energy of the cartridge. When the breech block contacts the locking shoulder, it stops, locking the breech. The slide continues rearward with the momentum it acquired in the initial phase. This allows chamber pressure to drop to safe levels while the breech is locked and the cartridge slightly extracted. Once the bullet leaves the barrel and pressure drops, the rearward motion of the slide lifts the breech block from its locking recess through a cam arrangement, continuing the operating cycle. The Remington Model 51 was the only production pistol to utilize Pedersen’s type of operating system. However a prototype .45 ACP version, the Remington Model 53, was built for testing by the Navy Board. Share the post "Remington Announces R51 Pistol Exchange"
Everyone needs a few good .22 LR firearms for fun shooting, target practice, and cross-training. We found two exceptional deals right now at CDNN Sports, a large wholesaler that specializes in inventory close-outs. CDNN acquires products at low cost, so they can sell well below MSRP. The first item that caught our eye was a nice 1911-style target pistol. These full-size, German-made GSG rimfire 1911s often sell for $400.00 or more (MSRP is $427.95). This item is currently on sale for just $279.99. Plus a $30.00 distributor’s rebate is available for purchases made through July 31, 2014 (so you’ve got a few more days to grab one for $249.99 after rebate). Because the GSG is the same size as a centerfire 1911 pistol, the GSG is great for cross-training. The GSG is also compatible with many full-size 1911 parts. If you own a ranch or farm, or have some kids (or grand-kids) who enjoy plinking, a Ruger 10/22 should be part of your gun collection. For 50 years, the Ruger 10/22 has been America’s favorite .22 LR rifle. Durable and simple, the Ruger® 10/22® rifle is well-suited for informal target shooting, “plinking”, and eradicating small varmints. And now you can get one for under $200.00. CDNN currently has the 10/22 with synthetic stock on sale for $189.99. Weighing just 5 pounds, this rifle features an 18.5″ barrel, 13.50″ Length Of Pull, and a 10-round rotary magazine. MSRP is MSRP $279.00, so this is a very good deal. A wood-stocked version is also offered for just $189.99. Share the post "Great Deals on Rimfire Guns at CDNN"
Hate chasing brass ejected from your AR platform rifle? Well here’s a clever new accessory — a brass catcher that mounts easily to the Picatinny rail on top of your upper receiver. There are other types of brass-catching rigs on the market, but this is one of the best products we’ve seen for ARs with Picatinny rails. Caldwell’s AR Pic Rail Brass Catcher mounts easily with a quick-detach aluminum clamp. Both the clamp and wire frame are adjustable so they won’t interfere with your scope or scope mounts. We like the quick-detach feature. This lets you quickly check and/or clear your chamber, or inspect the bolt. The bag itself, made from heat-resistant mesh fabric, will hold approximately one hundred .223 Rem cartridge cases. And here’s another nice feature — the bag has a zipper on the bottom so you can quickly dump your spent brass without having to remove the brass-catcher from your rifle. – Captures fired casings before they hit the ground. – Quick-detach system mounts securely — no fumbling with straps. – Compatible with most Picatinny rail-equipped AR-10s as well. – Heat-resistant mesh bag holds 100 pieces of brass. – Fully adjustable — can be placed at any point on Picatinny rail. 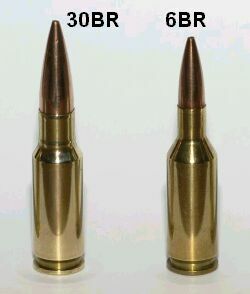 If you shoot an AR and reload your own ammo, you should get some kind of brass-catching device. With a $39.19 “street price” ($49.99 MSRP), this is one of the more affordable options. Once you use a rig like this and no longer have to pick up brass from the ground, you may get spoiled. Moreover, a brass-catcher like this will earn you “Brownie Points” with other shooters at your range who no longer have to dodge your hot brass. Share the post "New Caldwell Brass-Catcher Mounts on AR Picatinny Rails"
The President’s Rifle Match is a notable rifle competition that is steeped in history. This match was first held in 1878. The top shooter at the 2014 President’s Rifle Match Final was SGT Augustus Dunfey of Phenix City, Alabama. A member of the USAMU squad, Dunfey posted an Aggregate score of 393-14X. Reigning National High Power Champion Brandon Green, also of the USAMU, finished second with 388-15X. High Junior was Nash Neubauer firing a 383-8X. Interestingly. Neubauer’s 383-8X score was good for 6th place overall, beating 94 other shooters, including many military team members. Great shooting Nash! High Senior was Richard Zolnowsky with 376-14X. The National Rifle Association’s President’s Match was instituted in 1878, as the American Military Rifle Championship Match. In 1884, the name was changed to the President’s Match for the Military Rifle Championship of the United States. It was fired at Creedmoor, New York until 1891. In 1895, it was reintroduced at Sea Girt, New Jersey. Today, the match is held at Camp Perry, Ohio. After a hiatus in the 1930s and 1940s, The President’s Match was reinstated in 1957 at the National Matches as “The President’s Hundred.” The 100 top-scoring competitors in the President’s Match were singled out for special recognition. Share the post "Historic President’s Match at Camp Perry"
Goodbye Maryland, Hello Tennessee. Due to passage of restrictive laws in Maryland, Beretta will move all gun-making operations to Tennessee. On July 22, Beretta U.S.A. Corp., located in Accokeek, Maryland, announced that it will move its manufacturing capabilities from its existing location to a new production facility in Gallatin, Tennessee. The Gallatin facility is scheduled to be opened in mid-2015. Beretta U.S.A. had previously planned to use the new Gallatin, Tennessee facility for new machinery and production of new products only. “During the legislative session in Maryland that resulted in passage of the Firearm Safety Act of 2013, the version of the statute that passed the Maryland Senate would have prohibited Beretta USA from being able to manufacture, store, or even import into the State products that we sell to customers throughout the United States and around the world. While we were able in the Maryland House of Delegates to reverse some of those obstructive provisions, the possibility that such restrictions might be reinstated in the future leaves us very worried about the wisdom of maintaining a firearm manufacturing factory in the State”, declared Jeff Cooper, Beretta U.S.A.’s General Manager. “While we had originally planned to use the Tennessee facility for new equipment and for production of new product lines only, we have decided that it is more prudent…to move the Maryland production lines in their entirety to the new Tennessee facility“, Cooper added. Beretta U.S.A. anticipates that the Gallatin, Tennessee facility will involve $45 million of investment in building and equipment and the employment of around 300 employees during the next five years. Beretta U.S.A. has no plans to relocate its office, administrative and executive support functions from its Accokeek, Maryland facility. Beretta, established in 1526, traces its roots through 16 generations of continuous family ownership. Firearms bearing the Beretta name have been sold for almost 500 years. Beretta U.S.A. was founded in 1977 and supplies the standard sidearm to the U.S. Armed Forces. Today, Beretta manufactures and markets a complete line of firearms, accessories, and apparel. Share the post "Beretta Will Move All Manufacturing from Maryland to Tennessee"
Bullets.com has launched a huge closeout on its entire RCBS inventory. Here’s a great opportunity to save big bucks on high-quality RCBS tools and reloading accessories, including RCBS Chargemasters and even RCBS Rockchucker presses. The folks at Bullets.com report: “We have slashed prices to levels at or below cost on hundreds of items.” Guys — take note: this is a unique opportunity to pick up some great gear at truly rock-bottom prices. In fact the deals are so good that your Editor plans to purchase a couple presses, a powder measure stand, and some accessories for my RCBS 2000 progressive press. I really don’t think you can beat these prices… and remember this is an inventory close-out sale, limited to stock on hand. When it’s gone, it’s gone. So don’t say we didn’t warn you! Case Prep Tools and much more. In connection with this Bullets.com SALE, you can save even more with RCBS factory rebates. If you spend $50.00 you can get a $10.00 rebate. If you spend at least $300.00 on RCBS products you can save $50.00. These rebates are good through 12/31/2014. CLICK HERE for details. Share the post "Huge Inventory Reduction Sale of RCBS Products at Bullets.com"
Imagine if you could “steer” your bullet to the target, after the projectile leaves the muzzle. That has been a dream of marksmen ever since the first rifle was invented. Well that dream is now one step closer to reality, thanks to America’s Defense Advanced Research Projects Agency (DARPA). Share the post "DARPA Demonstrates First-Ever Guided .50-Caliber Rifle Bullets"